Each order receives 5 bracelets. Wear them all together or share with your friends! 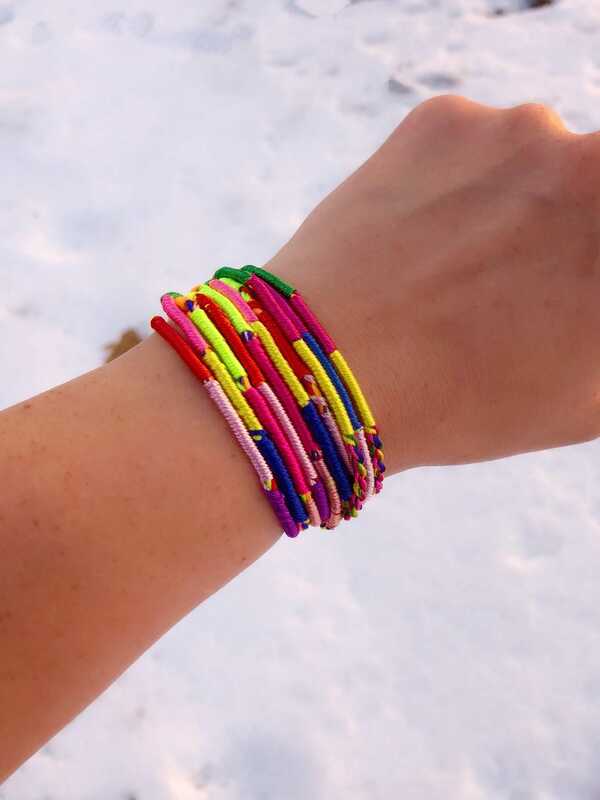 Each bracelet is made with 5 colors and measures 11” in total length. Woven part measures 7.5”. Just slip the knot through the loop and tie on. 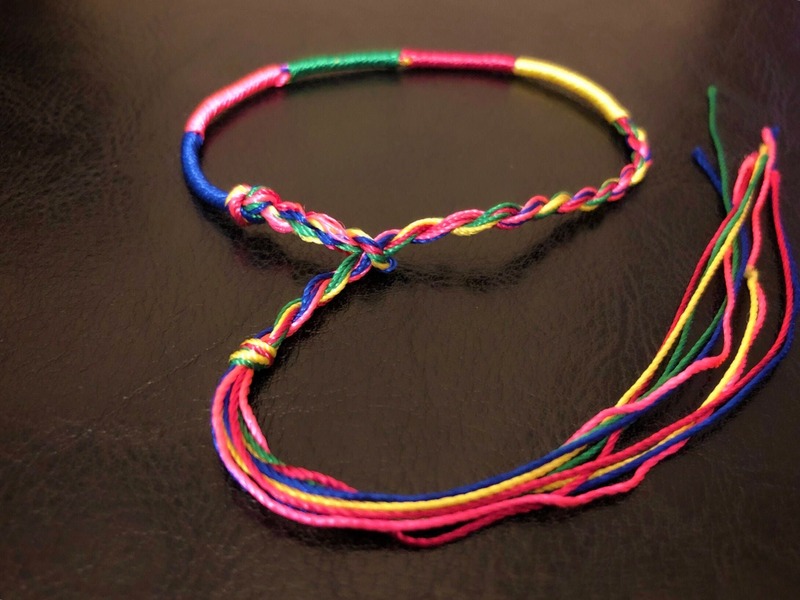 The length of these bracelets allows them to be worn either on the wrist or ankle. 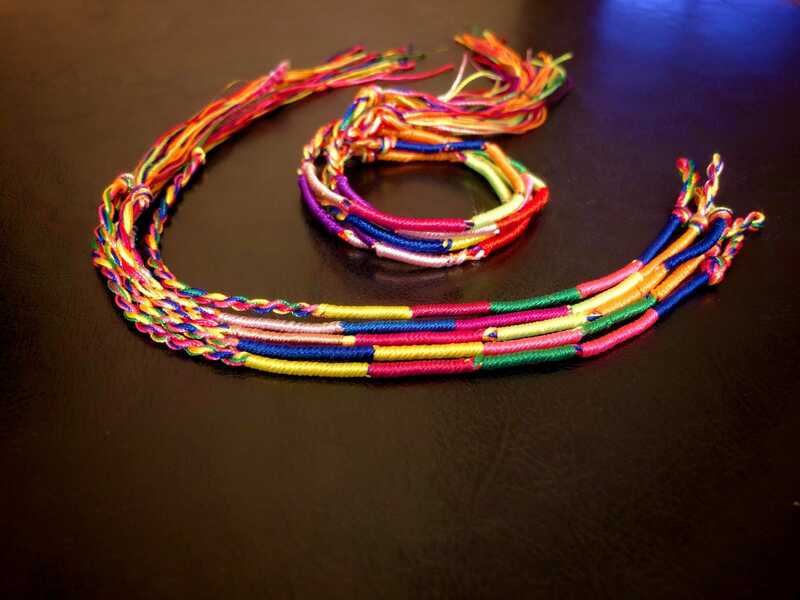 Bright colors long lasting cotton/nylon thread. I love these as bracelets or anklets.